HLM Market | Irene Abdou Photography, LLC - Travel. Lifestyle. Documentary. NGOs, Development & Public Health. 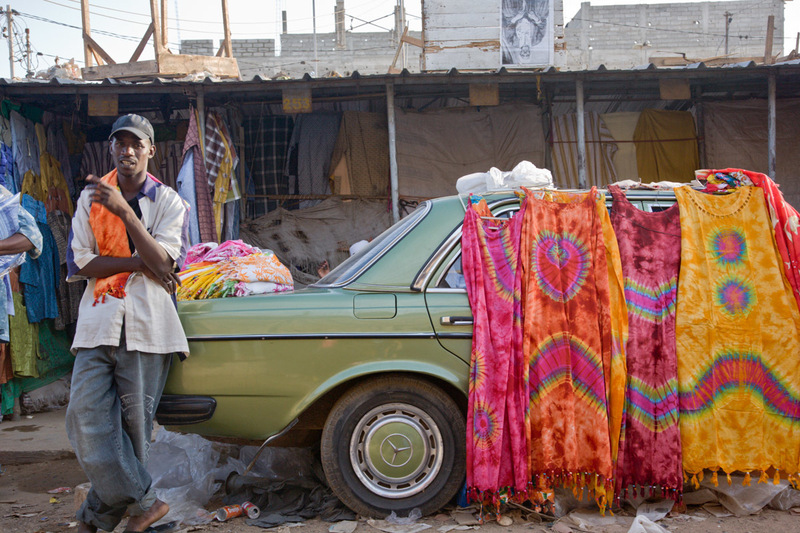 Once back in Dakar, we visit the colorful Marché des HLM ("HLM Market"), with its long rows of market stalls (and cars) decorated with colorful fabrics for sale.